This modern and traditional hotel in Albaicin is within a two-minute walk of the Madrasah of Granada. The hotel is a five-minute walk from many attractions including Granada Cathedral and Royal Chapel of Granada. Facilities at the Hotel Posada Pilar Del Toro include an express check-in and check-out feature, a 24 hour reception and 24 hour room service. The hotel also offers multilingual staff, luggage storage and a tour desk. Guests can find a gift shop within the hotel. The Hotel Posada Pilar Del Toro offers 15 air conditioned rooms. A private bathroom, a mini bar and complimentary toiletries can be found in each room of the hotel. A shower, a hair dryer and a TV are also on offer in each room. The Hotel Posada Pilar Del Toro offers a convenient on-site café. Alternatively, there are a selection of other eating options in close proximity to the hotel. Guests can enjoy breakfast served every morning at the hotel. The location of the hotel allows guests to easily access multiple places of interest by foot. The Palace of Charles V is a short car trip from the hotel. 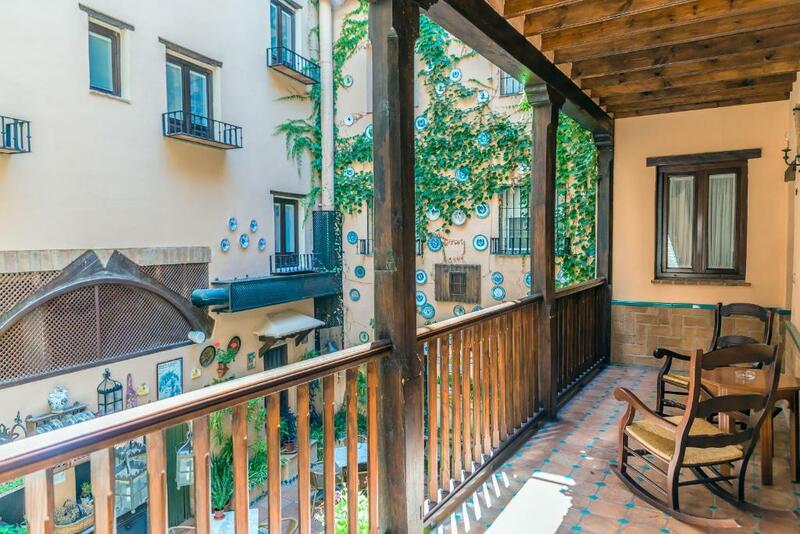 This hotel is 1247 metres from the Alhambra entrance, 152 metres from Plaza Nueva (the absolute centre of Granada), 1413 metres from the train station and 2845 metres from the bus station.